In 2007, a new goal was set to provide a short term respite facility in Albany. By October 2008, funds were secured from the State Government to complete the construction phase. Work began in July 2009 and progressed rapidly with a completion date set and achieved for January 2010. The offical Opening was held on April 18th 2010. The respite Centre provides short term respite care and accommadation to care recipients. The 4 bedroom unit can provide 1,460 bed nights per year. General age criteria for ACRC - Those who are over 45 years of age. 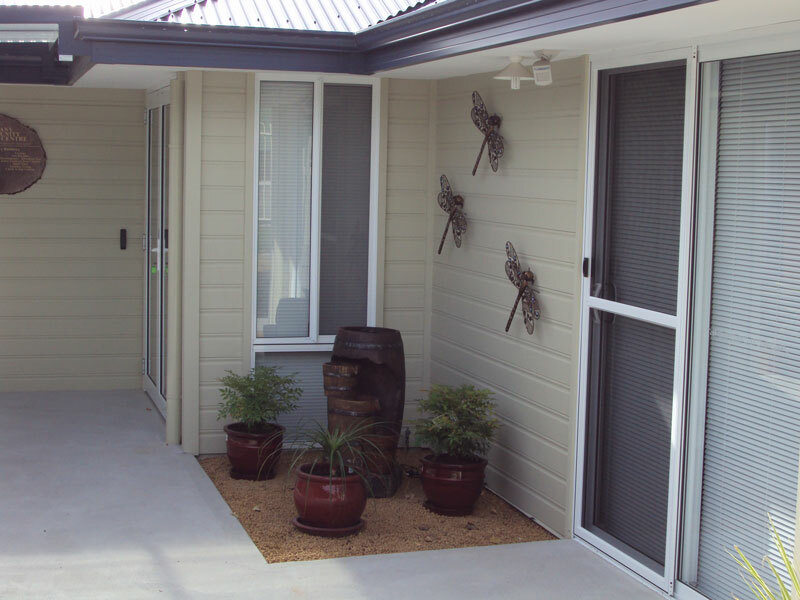 The Respite Centre complements the existing Albany Community Centre care facility which offers opportunities for interaction for people currently living independently. It supports people in care to remain in their own homes by giving their carers an opportunity to look after their own health and well being by having worry-free breaks. Three full time and two part time staff are engaged in supporting this service. Contact the Centre on 08 9841 8668 or email reception@accc.org.au for more information.